For the moment at least it seems that bureaucracy is therefore holding up technology. What a surprise! Interestingly to me though is the shear number of people who do not yet trust online payments of any kind. Working remotely from in Guildford at private members club with a varied aged group of members, a couple of days ago I stuck up a conversation with a couple of retired gents who were sitting at the adjacent table as I was working away on my laptop. Bob began to tell me he had ordered 2 musical boxes by post for Christmas gifts and although the money for both transactions had been taken from his bank account the gifts had not been received. He called the helpline, had not felt comfortable giving his payment card details to call centre agent because he had ordered by post and paid by cheque. The agent told him he would need to send an email! Unfortunately Bob had no notion of how to do so an was told there was no other option available to him. To this end I wonder with concern about how many of the older generation are going to be left behind when presented with ever increasing use of smartphones in everyday life. After all if these retired chaps that I spoke with have not yet entered a comfort zone with the use of email it would seem highly unlikely that they will readily accept the pace with which mobile technology is progressing let alone feel comfortable using it. Meanwhile those who have embraced the increased functionality available to them with a smartphone are waiting for more! 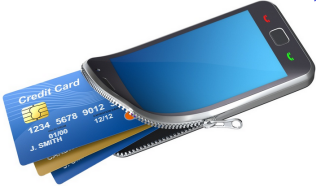 According to a recent study by Moosylvania ;- 44% of smartphone owners say they would like to be able to use a mobile wallet on their devices to pay for purchases. Have you made a purchase from your Mobile phone already? If not would you be comfortable doing so if the option was available? Really interesting Sadie While I have totally embraced technology from my laptop and do all of my financial business online – I am still very resistant to the idea of following that path with a mobile device. I may have no choice but to work on an attitude adjustment this year however since I’m planning to be on the road for nearly a month this spring. Sadie, wow, you sure are on top of the Digital Mobile network.. how in the world you get to know all this info, I am not certain but I am sure a lot of people in Europe is glad to read what you have to write because it is so essential. Then I went back in Italy in 1979 believing things have changed and so I could settle my family there… well, it was a short visit… and went back to Canada and never thought to go back and live in Italy.. WHY?? because everything takes forever and you need to bribe every one for everything in order to get something going… well, they can have it… Thanks so much for sharing your knowledge.. it is always helpful. Interesting! I don’t like using mobile phones, but do make payments from my laptop. It is not that I don’t “trust” it, but I still have a flip phone lol. True! I work from home and am in front of the screen most of the day. When I go out, I don’t want to have anything to disturb me. Back to the mobile: I do worry about the senior citizens because they find it challenging just to get an email! I have volunteered for a few seniors to teach them the basics. But it was a disaster! Donna I too am concerned about Seniors being left behind with the rate the technology is moving. In France these days we can no longer withdraw cash easily using a cashier / teller. I watched in my local bank as the cashier told a very elderly farmer that he was to tell no one his ATM pin number except the cashier himself! I realise the man in the bank was only trying to help but the the fact is with PIN we should give them to no one and the bank should never ask for it! Worrying. I’m very hesitant to use a mobile phone for any financial transactions because I have heard too many bad stories. I’m perfectly happy using my computer, though, and rely on automatic transfers for all my regular bills. I just don’t trust the security on a phone yet.